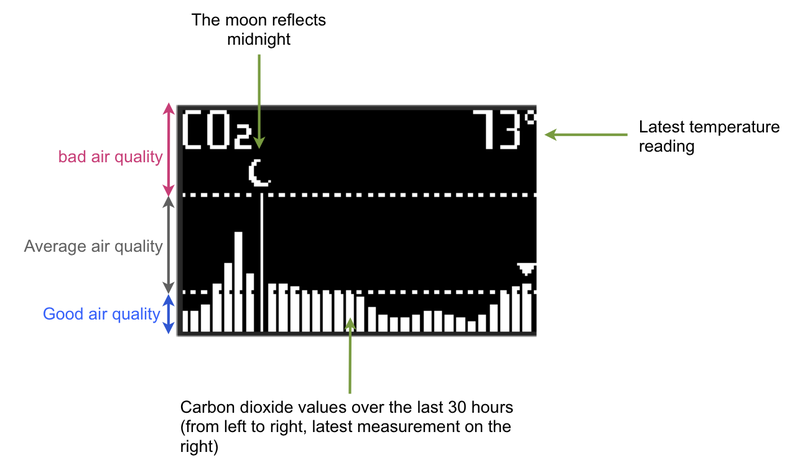 The level of CO2 and the temperature of the room are displayed on your scale when you weigh in. You can also display this information on your scale without weighing in by pressing the button located in the center of the scale. 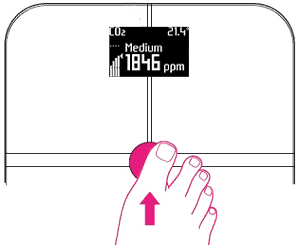 Make sure you activate the Air Quality screen if you want to see it on your Smart Body Analyzer.